Wake up full of energy and drive to start your day. Look forward to the morning hours as sacred moments that are just for you. Let Rachael Meddows show you how. 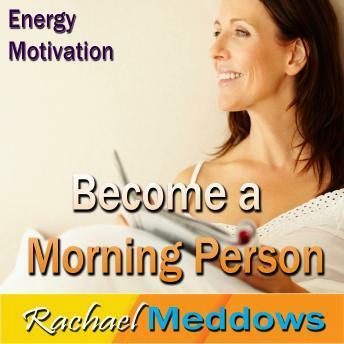 Let "Become a Morning Person Hypnosis" change the way you see the morning hours of your day. Your subconscious mind will receive hypnotic suggestions for positive change that will allow it to let go of the preconceptions of what the morning means to you. Discover how to reprogram yourself to enjoy mornings, making your entire day more productive and more enjoyable.